Sourced from the original article by Sandra Diamond Fox. When state Sen. Tony Hwang was two years old, his father left his home in Taiwan to come to the United States, settling in Chinatown. Hwang is running for re-election in the 28th Senate District, which is made up of Fairfield, Easton, Newtown and parts of Weston and Westport. He has been a state senator since 2014. A Republican, he is running against Democrat Michele Lapine McCabe. Hwang said America has provided him and his family with many opportunities, and he enjoys being able to give back. When he was 9, his father brought over the rest of his family to the United States. His family lived in Watertown, N.Y., on a military encampment. “We were living in a row house in a federal housing project; immigrants who didn’t speak the language,” said Hwang, who now lives in Fairfield. One day his father invited the entire staff at his school to the housing project. As a way of giving back, Hwang was a past participant of Upward Bound in Syracuse at Lemoyne College and has visited and supported the Fairfield University’s Upward Bound Program. Upward Bound is a federally funded program for college-bound, low-income high school students. “The ability to interact and learn from people and be able to represent them is such an incredible joy and gift to me,” he said. Hwang is co-chairman of the bipartisan Bioscience Technology Caucus, where “we are on the forefront of supporting and promoting bioscience and genomics, which is the coding of DNA,” he said. Scientists can break down DNA to look at the causes that leads to each illness, Hwang said. “While it used to take weeks to decode all the combinations of DNA for each individual, we can now take a DNA code and within a day, decode it and research it to look for cures for conditions such as Alzheimer’s, cancer, and autism,” he said. “We are developing personalized medicine based upon your age, your size, your background, and your medical history,” he said. Personalized medicine allows scientists to take the “perfect” prescription from a person’s DNA, “so you can get care that is personalized to you,” he said. There are 25 to 30 incubation laboratories at Connecticut universities, that are starting to do this, he said. Hwang said it’s important to support small businesses. One way of doing this is to make a personal effort to visit these businesses, according to Hwang. “I like to understand what their needs and concerns are, what they are doing to compete, and how can we partner with them and help them,” he said. Small, local businesses Hwang has visited include Sport Hill and Silverman’s farms in Easton. The “big picture” is creating an organic, sustainable ecosystem in which businesses “will prosper and grow and feel Connecticut is a place where they can set down their roots and make long-term plans to succeed and thrive,” he said. Hwang compared managing a business to managing a household. Hwang said he was responsible for proposing a bill that has changed threatening statues made to schools. Every time shooting threats happen in schools, it causes trauma and “incredible” municipal costs, Hwang said. Before this bill became a law in 2016, if someone made a threat to a school, it was treated as a “simple threat in the second degree — it was a misdemeanor,” Hwang said. He said anyone who may think making a threat to a school is a joking matter and a prank should know that it’s not. “We want to raise the awareness that nowhere and at no time was this acceptable,” he said. 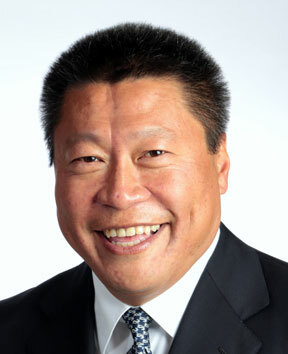 “I’m very proud of the things I have done as a legislator and a leader in the legislative process,” Hwang said.